Everything we do is geared towards delivering event owners and promoters a complementary range of event solutions to add value to their event. We are proud to be working alongside the cream of the UK’s best festivals, venues, sports events and concerts – from the Isle of Wight to Scotland. “We believe innovation has just as much relevance in farming than it does in hi-tech industries. Anyone reading this in the festival industry will smirk at the irony of that comparison. We’ve been operating festival bars for over 10 years for the likes of Bestival, Ingenious, Secret Garden Party, LiveNation, AEG Live and many more. Every year we have to innovate to keep us competitive. We enjoy it, it helps us stay motivated, always looking for the next opportunity to roll out the next new project. “Tech” at festivals and greenfield sites has always been a challenge due to its very nature – but the more it’s used and developed and decreasing costs to deploy it means we’re seeing it more and more. 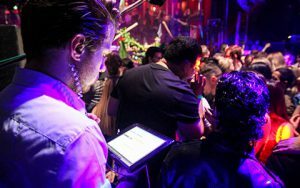 As a bar company that services over 30 outdoor events and festival every summer, you wouldn’t think that tech is much of a requirement for us – in fact, it’s absolutely critical to our business. We rely on data. Lots of it. It’s our major planning tool in determining bar meterage, number of staff, product mix – the lot. Historical data is used from previous years’ events and where it doesn’t exist we “profile “ the event from the nearest fit. We have been using hourly sales and PLU data from our tills since we started in 2003 – but for the last couple of years we’ve been looking to move the game on. We worked alongside Barclaycard at the British Summer Time concerts in Hyde Park to allow all 65,000 people (with over 350 machines) to have the ability to be able to pay via Touch to Pay, Payband (a preloaded RFID wristband) and conventional credit and debit cards on every single bar on site. The event was a huge success and was great to see the system being embraced and used to such a high percentage. Throughout the summer of 2013 we have been road testing various EPOS systems using iPads, IPhones and iPad minis to function as tills – allowing us real-time sales and stock information at event and critically, to be able to take card payments instead of cash. The part roll-out has been so successful for us this year that we are looking to deploy it at over 75%+ of our events in 2014. The power of these systems is incredible. Through onsite connectivity via Satellite or 4G systems we are able to monitor real-time sales information at office on-site (and back at our head office) enabling us to identify stock shortages before they happen; to give us insight on where to move staff and to identify trends, real-time. For example if the weather turns cold, cider sales drop and red wine and spirits sales rise. This is particularly useful for our stock team who can see at any given time how much stock we have left at every location / truck / bar in order to pre-empt re-stocking rather than reacting to it.It also enables us to reconcile stock vs. cash on every bar, instantly. It’s an extremely powerful tool for promoters and sponsors too. We can tell them how a particular drink performs at their show at different points throughout the weekend. We can even link it to programming of that particular area to see if a dance crowd drinks differently to a rock crowd for example or if a sponsor’s activation in a certain area is driving sales. We have the ability to be able to deploy drinks passes to promoters or sponsors via their smart phones and offer discount passes via email. 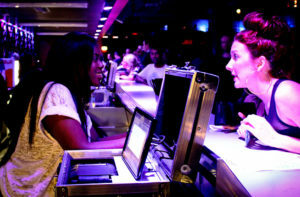 We’ve used the system in many VIP and backstage bar environments this year – deploying the tablets with table service for example – allowing our staff to place an order (which gets sent immediately to the service end of the bar) and take a credit card payments via a wireless Bluetooth card reader instantly. Yes, these systems already exist in fixed venue restaurants and bars – but on a greenfield festival site, with no internet and limited power and infrastructure – having a reliable and scalable solution, (that could require 150+ tills at any one time) is a massive step forward. All the information is stored in the cloud – so if one device goes down, it doesn’t matter – when it comes back online or is replaced is simply re-syncs. 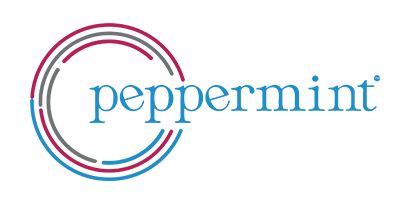 We have been working with a Swiss company for the EPOS deployment and a Swedish company to manage the card processing – which have both been fantastic and we are already working on next summer’s systems and testing out new features on our winter events. It doesn’t come cheap. Yes, the price of tech is falling and that helps, but when your rolling out systems for 1000 bar staff that requires internet connectivity in multiple locations (some shows have over 25 bars that can span miles of undulating countryside) combined with purchasing several hundred EPOS tablets, card readers, satellites etc. the outlay can be pretty big – but we firmly believe it will pay dividends to us across a number of levels – the most important being the service we can offer our clients. I run various festivals out in Gibraltar – Gibraltar Music Festival, Calentita Food Festival, and some EDM festivals. I would like to get an idea about how you run bars for events – do you run on a fee or do you take/pay a commission on gross etc?